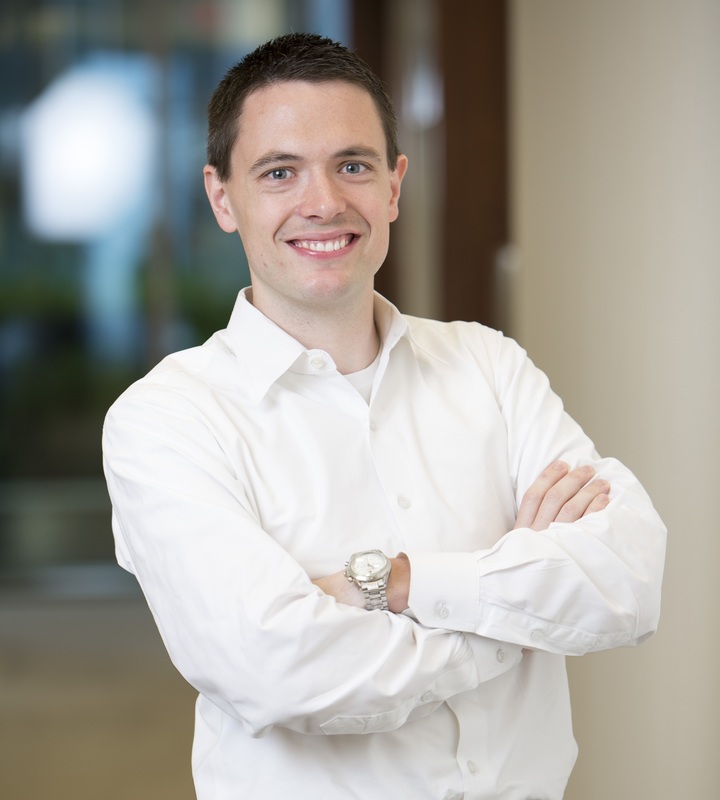 I am a Senior Quant Research Associate within the Global Risk Analytics organization at Bank of America (formerly data scientist in the Global Portfolio Strategies team). My work revolves around incorporating connections among entities and the consequences of the connections into risk models and frameworks. Currently, I am focusing on systemic risk in the derivatives market. This market has seen considerable changes since the financial crisis, and specifically, regulators have mandated that ‘standardizable’ contracts shall be cleared through central clearing parties (CCPs). While the intention was to increase transparency and safety, the market has changed from a decentralized one to a centralized one. From a network-point of view, this means that it has changed from a core-periphery network to a star network (at least for specific products). Understanding risks in this market is imperative to avoid and mitigate new crises. Previously, I tackled network-related questions linked to improving the understanding of concentration and systemic risk (e.g., default cascades or contagion in stress-testing simulations or loss forecasting, spill-over effects among different portfolios, and impact of supplier and buyer concentration on default likelihood and credit default swap, CDS, spreads). Prior to joining the bank, I built a fintech company combining global real-time data from the DNS backbone of the Internet with statistical models to predict website visitors and ultimately retail sales. I was also the Chief Scientist at for DeepMile Networks, a Government contractor in the DC area, where I worked with a team on various big data analysis projects, and a Research Associate in the Innovation and Entrepreneurship group at Imperial College London’s business school. My published work is mainly centered on methodological advances in network science, which is the foundation of my industry work. Network science is the study of relational data (e.g., collaboration patterns, neural connections, or online communication). This work started in 2003 when I founded a Facebook-like online community at University of California, Irvine, called ANTfriender. Although the venture failed, it proved to be a great source of network data. In fact, I wrote a Ph.D. on “The Structure and Evolution of Weighted Networks” and authored a number of peer-reviewed articles using data from the site. Many of these papers focus on richer types of networks (e.g., weighted, two-mode, or time-stamped data) and the enormous potential these features have for exploring novel organizing principles in networks. For more information on this line of work, see the publications-page and the Network Science-section, which highlights how to actually apply some of the proposed measures as well as related others in the literature. Most of my research has been methodological in nature. The usefulness of methodological advances is lessened if they are not implemented in an easily accessible programme. To walk the walk, I have collected the functions to compute the ones I have proposed in an open-source software package called tnet. It is implemented in the free open-source statistical programme R to ensure that everyone can easily access it. 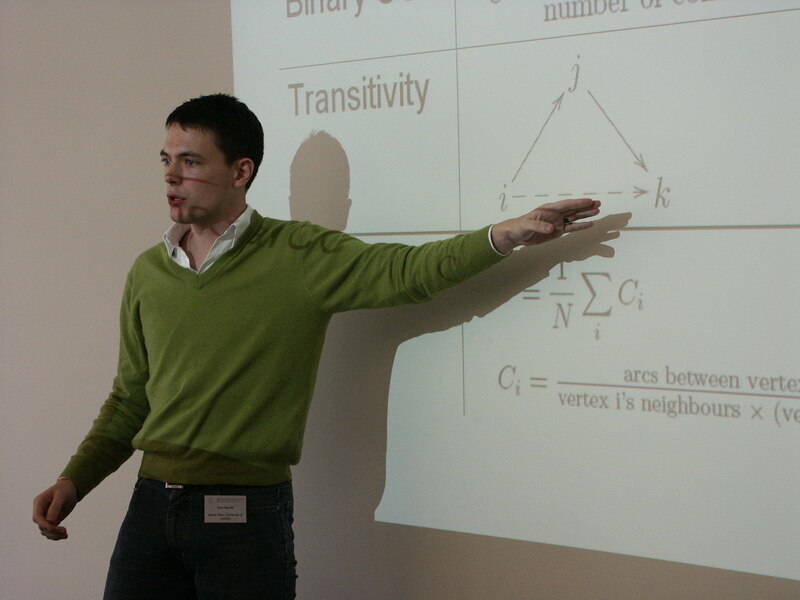 One of my first academic presentations at Applications of Social Network Analysis 2006 in Zurich. I presented the Valued Clustering Coefficient, which was later published in Social Networks as Clustering in Weighted Networks.